I am using Google's exchange service on my iPhone, and I have successfully selected which calendars I want to sync by going to m.google.com or whatever the Sync address is. However, in the native iPhone app, I have this weird calendar called "Birthdays" in the "Other Calendars" section. I have no idea where this calendar is coming from - its not in Outlook (and I don't sync with Outlook anyway), and its not my Google Birthday calendar (the dates are wrong). How do I remove it? I'm using an iPhone 3GS with iOS 4.1. The Birthday calendar is a “read only” calendar automatically created by iCal. You can change what will appear there by modifying your contacts’ birthday (in address book). If you don’t like it, you can always disable it. I believe this comes from the address book. 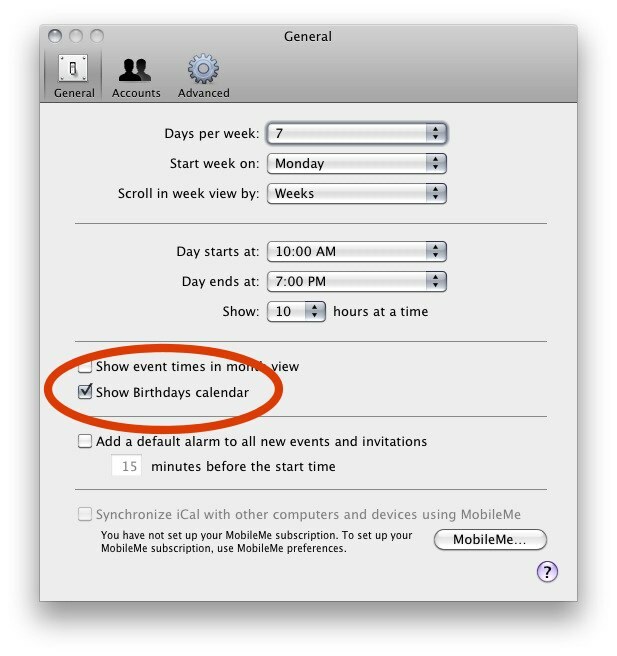 If you add a vcard with birthday information, it gets synced to iCal in this calendar. And then it might be getting synced to your phone. Not the answer you're looking for? Browse other questions tagged windows iphone . How to keep mac, iphone, icloud and gmail contacts in sync?